For every renowned band or musician with Columbus origins – from Dwight Yoakam and Rascal Flatts to O.A.R. and Twenty One Pilots – there are dozens with enormous talent, just waiting to be noticed. Great acts can be found all around the city, whether it’s at a Downtown venue, a neighborhood coffee shop or a festival. The diversity and depth is part of what makes the city such a great place for music. Here’s just a few out of many we think you should know about. Angela Perley is a songwriter; The Howlin’ Moons is a rock band. Together, Angela Perley and the Howlin’ Moons take on classic rock ‘n’ roll with influences from country and psychedelic rock. Perley found her bandmates in a slightly unusual way, but connected quickly. Her music was shared with producer Fred Blitzer, who then put together a band for her. They were introduced the same day they started playing together. The group has showcased its Americana-tinged rock sound across a handful of extended plays (EPs) and two albums. For the new bandmates, the EPs served as a way to develop as a group before completing a full length album. “It turned out being a really cool, kind of natural way of getting to know each other through the EPs and develop the sound of the band,” Perley says. 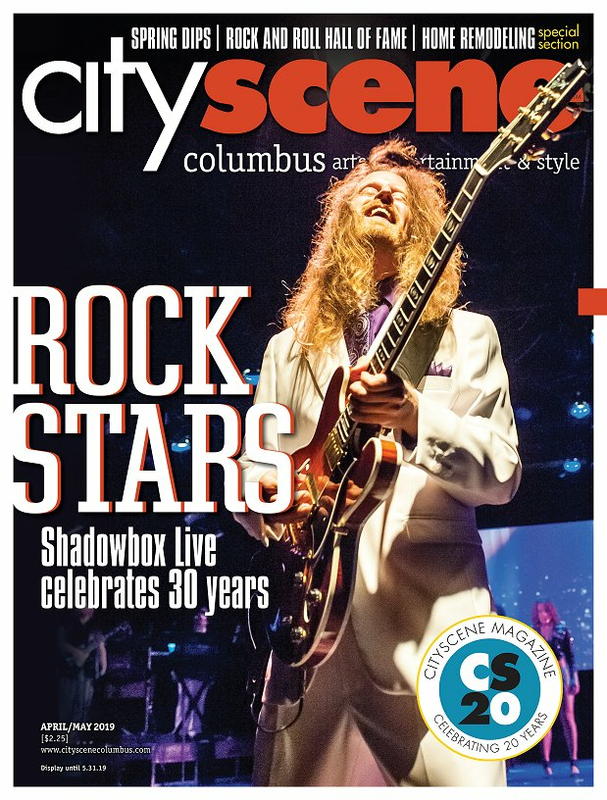 While many bands choose to move to cities such as New York or Los Angeles to kick-start their careers, Perley doesn’t imagine the band leaving Columbus. You may recognize the Rice Brothers from previous performances at the Dublin Irish Festival or for frequenting the local pub scene. The trio’s self-described “fusion-folk” sound goes beyond traditional Irish music, however. The group’s roots in a variety of folk music styles, along with Buzzard’s rock background, expand the Celtic base of the Rice Brothers’ sound. The band – having just released its first album, Live at Byrne’s Pub – is in the process of completing a studio album. Expect more original material from the band, but not for the members to abandon their influences. “We’re going to tip our hat to traditional Irish music,” says David. A funk group with a modern flair, MojoFlo brings dance-ready originals and covers to Columbus audiences. Beginning as an eight-piece band in 2008, MojoFlo worked hard to gig several nights a week and establish a fan base. Though MojoFlo continues to perform covers, the band has developed a catalog of original material as well. The original songs join the members’ shared love of funk with their other influences to yield a “neo-funk” sound. Right now, the band is working on a new album to be out later this year. Knicole says the same energy found at a MojoFlo show will be on that release. “I realize, for people our age, we spend a lot of time in bars,” says Cherry Chrome frontwoman Xenia Bleveans-Holm, 17. You wouldn’t guess that most of the members of Cherry Chrome are still in their teens from listening to their music. Their tight brand of alt-rock calls to mind 1990s groups more than 1990s babies. Dad David Holm continues to have an influence as the band’s drummer. Bassist Amina Adesini, 16, and guitarist Mick Martinez, 18, fill out the line-up. For the most part, the members’ ages haven’t presented much of a problem besides getting young friends into bar venues, though doubters will occasionally surface. “I like proving them wrong,” says Adesini. The music speaks for itself and has been building a buzz around Columbus since the release of the group’s first single, “Velvet.” With an album’s worth of unreleased recordings in storage, Cherry Chrome is focused on releasing its debut EP. It’s difficult to define Light as simply a rock band. The Shadowbox Live house band has collaborated across the spectrum of the arts and functions differently than the typical band. In 2010, Light formed to create Seven Deadly Sins, a full-length rock ballet, as part of a collaboration between Shadowbox and BalletMet. Since then, Light has provided its progressive rock influenced sound to works inspired by Edgar Allen Poe, the Columbus Museum of Art’s permanent collection and Japanese culture. For this Columbus group, each album is an opportunity to pursue a larger concept and incorporate other art forms. “We’re heady about how we do this because we want the music to communicate the pieces,” says Guyer. The history and creative works of Light differ significantly from those of a typical rock group. The group’s time working together before forming the band plays into this as well.